SUNDAY LOVE. #17. FEELING ALIVE. | Life Looks Perfect. SUNDAY LOVE. #17. FEELING ALIVE. The start of a new week has certainly brought a whole new outlook. 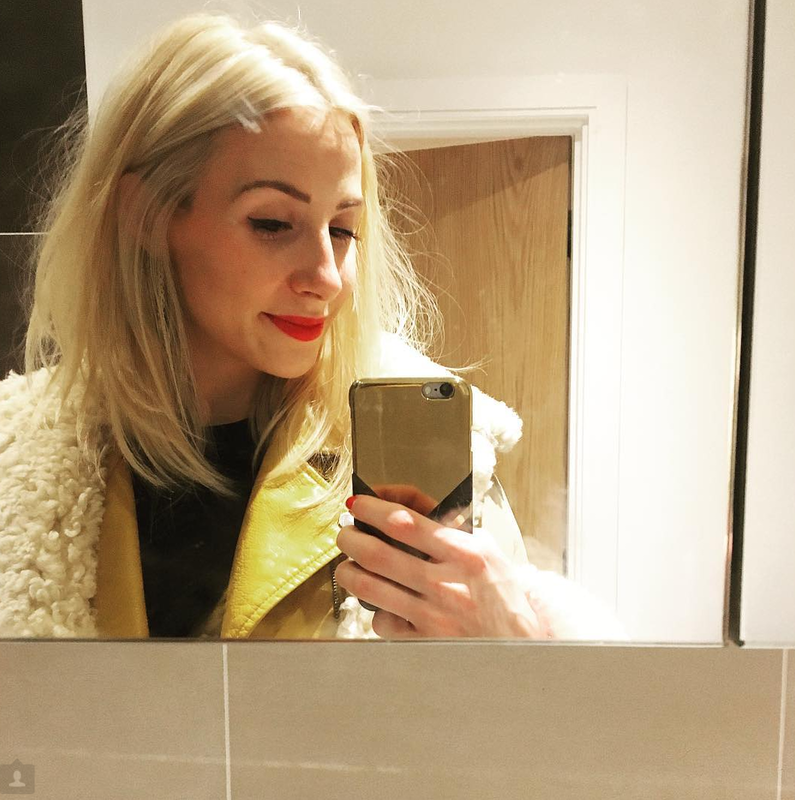 I have always been pretty open with my struggle with anxiety over the last few years and I am sure you will all know the In's and out's if you are a regular reader of beauty blogs. In the last year or so, lots of brave woman have used their blogs, as a way of sharing their story and battles with this terrible mental illness. I think this was hugely due to do the Zoella, bravely sharing her story last year on Youtube and without going on too much, I am one of them. Never really sharing my full story, with a worry that I will be seen as I'm 'jumping on the anxiety band wagon' it has been these few women, who's blogs I read every day, that have made me feel brave about sharing with my readers that things aren't always OK and that we shouldn't hide away from it. Anxiety is part of me. For the last few years, I would kid myself that staying in watching TV all day made me happy and it's not. Yes we all love snuggling up to a box set but doing that every day isn't healthy. I was hiding my fears. Whether it's the realisation that life is too short or that I had completely loss all sense of who I was anymore, I made a promise to myself that when my Birthday came around this year, it was a chance to start again. A chance to feel again, live again. The feeling of really truly living is something that can't be explained, its a feeling that only you can feel, there in the moment. Hiding away is not living. Being out, in a room filled with thousands of people, dancing, singing, goosebumps, being there with the ones you love and just letting go of all fear, that's what it feels like to be alive. But most of all, feeling happiness. If you asked me three months ago that I would be standing in the VIP front row of The Royal Albert Hall, dancing and sing along with Gary Barlow and then meeting the man himself, I wouldn't believe you. But that was my Tuesday night, check my Instagram hehe! Last month, I wouldn't even walk to the supermarket without freaking out. Something has happened to me, I am becoming who I want to be and a person that I am starting to love. It's OK to love yourself isn't it? I have often thought of sharing my trials and tribulations with you but to be honest., the more and more I think about it, I think it would be more beneficial if you are a sufferer or read my blog daily, to hear the positive changes that I am making and how I am combating living with this illness. It isn't something that happens over night and even now as I write, I am aware that anxiety is something that I have deal with on a daily basis. There will never be an overnight cure but honestly you can help yourself and when you are ready things will get better. You need to identify in your own time that enough is enough and ask yourself if you want to start living again, feeling again. I know this might sounds rather un-useful if you are here looking for answers but for me I just changed, it wasn't something that I had pondered over for months, I just made a stand. Now my anxiety shield isn't holding me back. I'm not scared anymore. I feel alive. I was worried about sharing 'advice' with you, as this post is not in any way, professional help. I flopped at getting help from the doctors (a nightmare for me as the doctors is one of my triggers!) but I just want to share my story and if this might inspire you or you want to chat to someone who understands, please contact me. All i can say is take the risk. Get on a tube, go shopping, meet up with a friend, go to the theatre or just go for a walk in the park, anything that will push you and your own limits. As we all suffer with different levels of anxiety and just take the risk and see what happens. I can promise you that nothing will happen. You will find it stressful and it will knock the energy out of you but at least you have made the effort to try. Start small and take the risk. Build up slowly and remember you are always in control. There will of course be tough days, I still have them all the time, more bad than good, but this is going to change and I am going to make it. And well look at me up there ^^ I'm standing outside the Royal Albert Hall, looking fab and feeling fab and I'm not afraid to show it! You can do it folks. Be brave and I am always here for you.